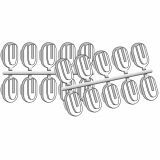 20 ceiling grid clips with loop for string. 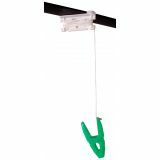 Clips slide onto celing grids for a fast and economical solutions for all your ceiling hanging needs. 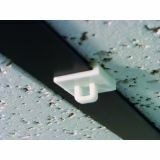 Fits all ceiling grids - removes easily. Reusable, removable adhesive. 2 oz. 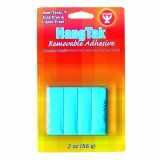 Hang posters and art projects with reusable, non-toxic Hangtak™. 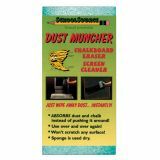 Works on most interior surfaces. 2oz. premium quality and super value! Made in the USA. 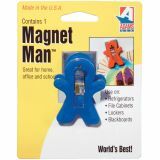 Colorful clips with powerful magnets for hundreds of uses! 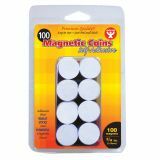 Self adhesive coins are great for your classroom. 3/4". 100 per pack. 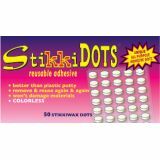 Colorless reusable adhesive dots. 50 per pack. 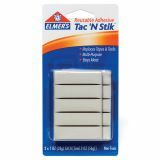 Sticks to all kinds of surfaces without damage or messy adhesive residue. 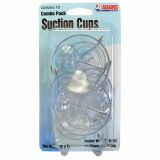 Remove, reposition and use again and again without adding or replacing adhesive. 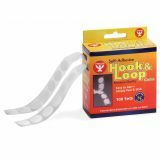 Pack of 4 white hooks. 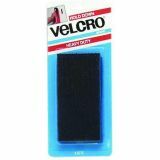 Velcro heavy-duty sticky back tape adheres to almost any smooth surface. Holds up to 3 lbs. 1" x 2".